Combining its classical heritage with the trappings of a modern city, Rome is a fascinating year round cultural trip destination to visit. Its centre is sufficiently compact to accommodate walking tours while its extensive and excellent metro system also affords easy access to the superb range of museums, monuments and tourist attractions. 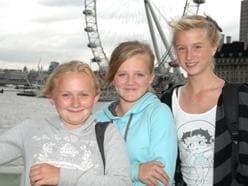 Alternatively, view the rest of our Italian school trips here. 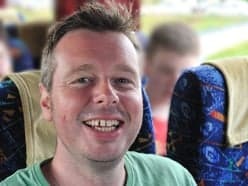 Price shown is based on 35 paying passengers departing from a London Airport in February 2020 and is subject to availability. 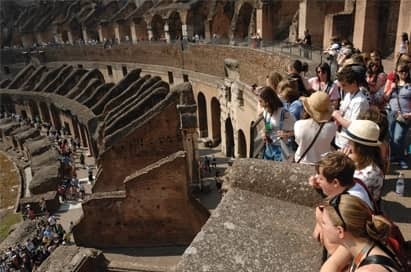 Amaze students with the monumental size and grandeur of the world’s largest surviving structure of Roman antiquity, the scene of the legendary and savage gladiatorial games. This, the largest monument of Ancient Rome, seated more than 50,000 spectators in its day. 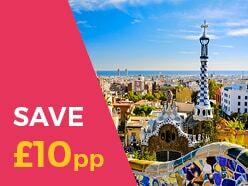 Your students will see the location where fights between men and beasts, gladiatorial contests, races and simulated naval battles took place. 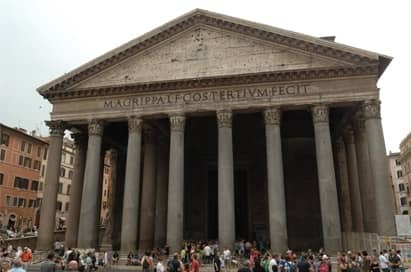 Built as a temple to all the gods and rebuilt circa 126AD during Hadrian’s reign, it’s still in use today. A marvel of Roman engineering and, until the middle of the 20th century, the largest masonry dome built. The Basilica of Santa Maria del Popolo is an Augustinian church in Rome, Italy. 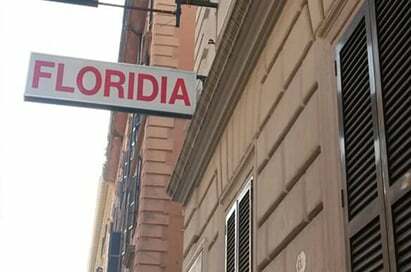 It stands on the north side of Piazza del Popolo, one of the most famous squares in the city, in between Porta del Popolo (the ancient Porta Flaminia) and the Pincio hill. The church contains works by several famous artists. Guided walks can be tailored to your requirements. 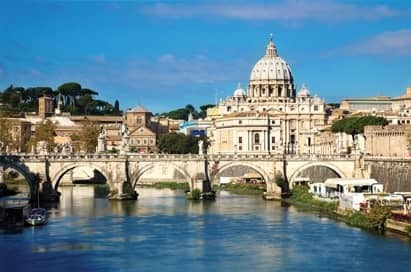 Here's a suggested three hour walk which includes the best of the baths, temples and theatres of Ancient Rome. 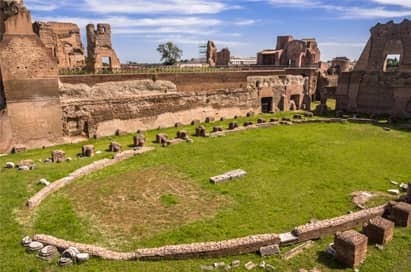 Visit the Baths of Caracalla and then on to Circus Maximus to see this ancient Roman chariot racing stadium. 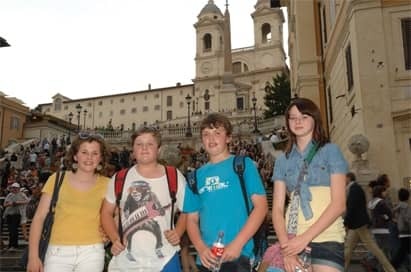 At the Forum Boarium, site of ancient Rome's meat market, your students will be able to view two small temples, the Temple of Hercules Victor and the Temple of Portunus, which are among the best preserved religious structures from Rome's republican era. Make sure you tell the truth at the Bocca della Verita - the Mouth of Truth! This carved image of a man-like face, located in the portico of the church of Santa Maria, is famous for its role as a lie detector and, it was believed that if you told a lie when your hand was in the mouth of the sculpture then your hand would be bitten off! 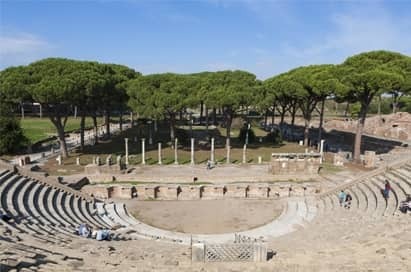 Walk up to the ancient, open-air Theatre of Marcellus where you will also find the Portico d'Ottavia and finish your tour with a visit to Isola Tiberina where you will see the Ponte Fabricio, a 1st century BC Roman Bridge. The Via del Corso is a main street in the historical centre of Rome. 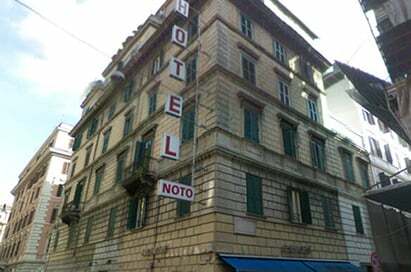 It is remarkable for being absolutely straight in an area characterised by narrow meandering alleys and small piazzas. 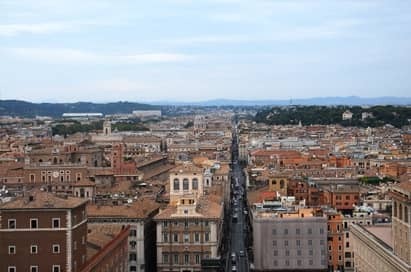 Considered a wide street in ancient times, today the Corso is approximately 10 metres wide, and it only has room for two lanes of traffic and two narrow sidewalks. This museum houses one of the world's most extensive collections of memorabilia, letters, manuscripts, and paintings relating to Keats and Shelley, as well as Byron, Wordsworth, Robert Browning, Elizabeth Barrett Browning, Oscar Wilde, and others. 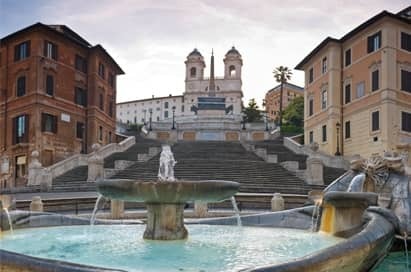 It is located on the second floor of the building situated just to the south of the base of the Spanish Steps and east of the Piazza di Spagna. Piazza Barberini is a large piazza in the centro storico or city centre of Rome and situated on the Quirinal Hill created in the 16th century. 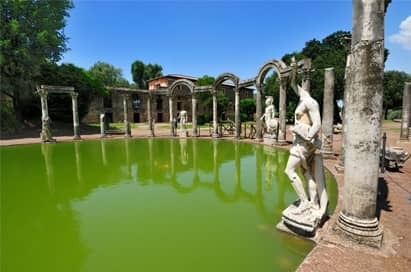 Visit the fountains of the Villa d’Este gardens, but more importantly the Emperor Hadrian’s villa, whose expansive ruins are full of interest. 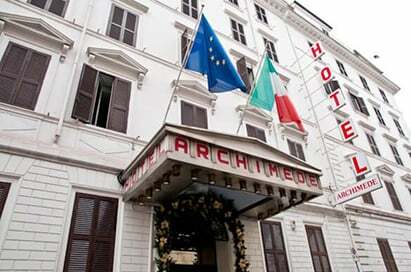 Take a guided tour by coach or a guided walk with our head guide, Richard, to see the sights of Rome by night. 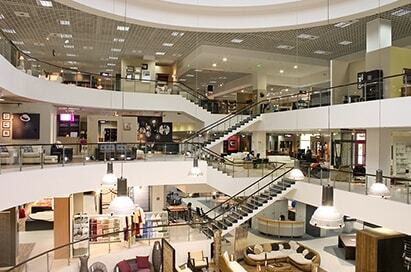 Shop, go bowling, play on arcade machines and enjoy a meal. The harbour city of ancient Rome is 20 miles out of the city but is a fascinating visit. 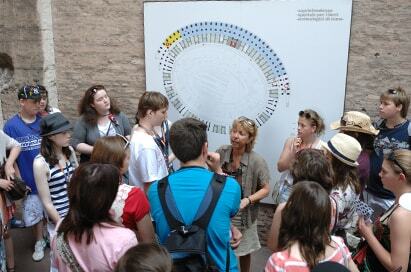 Students will enjoy exploring the extensive remains of the Roman town and often prefer it to Pompeii and Herculaneum. 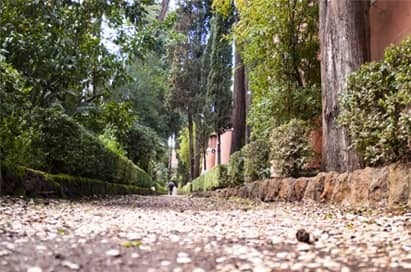 The most central of the Seven Hills of Rome is one of the most ancient parts of the city. See the ruins of the Imperial Palaces and the Hut of Romulus, as well as a great view of the Circus Maximus. Explore the pleasant gardens or see vibrant frescos in the house of Augustus. Situated in Piazza di Spagna, these 18th century, majestic steps built in Baroque style are today a regular meeting place for Italians. In Catholic tradition, this is the burial site of its namesake. Famous as a place of pilgrimage and for its historical associations. Like all the earliest churches in Rome, St Peter’s has its entrance to the east and the apse at the west of the building. 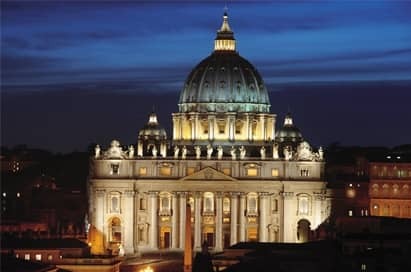 Ancient tradition suggests that St Peter’s Basilica was built where Peter, the apostle who is considered the first Pope, was crucified and buried in AD64. Today, the chapel houses many masterpieces. This is the most prominent building inside the Vatican City, its dome being a dominant feature of the Roman skyline. 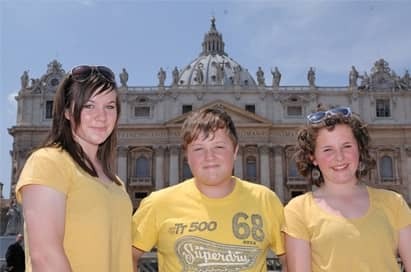 Papal ceremonies take place here due to its size, proximity to the Papal residence, and location within the Vatican City walls. A great evening activity in the centre of Rome. 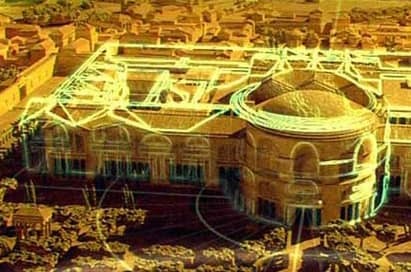 Take a journey through the development of Rome and experience multi sensorial effects as you watch panoramic screens. 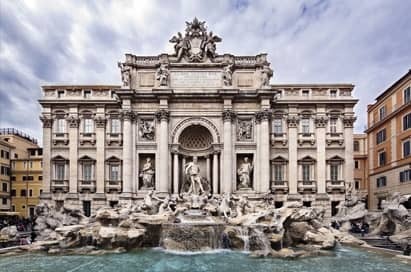 Rome’s famous Baroque fountain is the largest in the city and the most beautiful in the world. 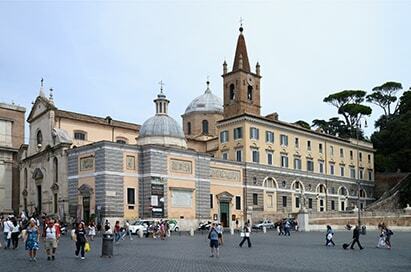 A traditional legend holds that if visitors throw a coin into the fountain, they are ensured a return to Rome. The fountain is worldwide famous but many people do not know the history and the secrets hidden behind its construction. The most famous chapel in the world, decorated by the greatest artists of the Renaissance. The Sistine Chapel and the Stanze della Segnatura, decorated by Raphael, are on the visitor route through the Vatican Museums. This chapel represents a collection quite unique in the history of painting.